On Wednesday night’s Hardball on MSNBC, during a segment on Florida’s new voter registration law, Chris Matthews asked Florida GOP Chairman Leonard Curry why Republicans want to make it harder for poor people and minorities to vote. Matthews: You said you want increased amount of voting. I’m sure you believe in that in principle. My question to you is why, in practice, are you reducing the number of days from 14 to 8 for early voting? Leonard Curry: If you look at—the law requires that the total hours that the offices have to be open for early voting are the same. It gives different counties flexibility in terms of what those hours are. So actual total-hour access to voting is exactly the same, there’s no change. And Chris, I know you really don’t believe that we want to suppress minorities from voting. 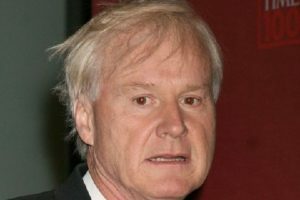 Matthews: Well, I’m trying to find out, because the trouble is, Mr. Curry, I look at the pattern in every state legislature, and inevitably it’s Republicans who want to reduce the opportunity to vote in every state. It’s always the same pattern. And I’ll throw it back at you for a quick response. Why is it your party that always wants to raise the barrier to voting consistently across the country? In this particular period of time, maybe not 20 years ago, but right now you want to make it harder for poor people, harder for minorities to vote. Why is that? Curry: I just don’t buy that premise. We want good governance, we want to make sure that people—every vote counts and that people are properly registered. Matthews: I think Abraham Lincoln agreed with that principle and I thank you for coming on. Matthews’ attempted to label Republican efforts to put some simple but necessary rules in place before one can vote as minority voter suppression. But Curry’s explanation was logical and to the point. It is about good governance and the integrity of the system. That in turn prompted Matthews to say that he thought Lincoln would agree with Curry on that principle and then he ended the segment. The real question is, why are the Democrats so determined to create a system conducive to voter fraud? Score this one a win for Leonard Curry and the GOP.